The facility will serve students, building operators, building energy auditors, and will be used to support the development of new business ventures in energy efficiency. 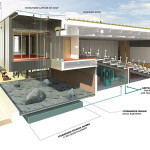 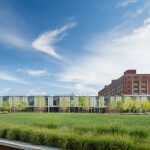 The Consortium for Building Energy Innovation (CBEI)—formerly the Energy Efficient Buildings Hub—at Philadelphia’s Navy Yard, is a research initiative funded by the Department of Energy and led by Penn State University that seeks to reduce the energy usage of commercial buildings to 50% by 2020. 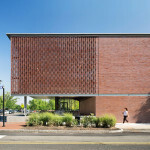 KieranTimberlake, a Philadelphia-based firm located three miles from Navy Yard, was selected by Penn State to renovate a 1940’s Georgian-style brick building to be a living laboratory for advanced energy retrofit technology. 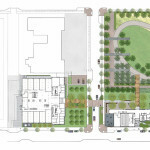 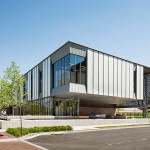 Included in the brief was an addition to the building, which evolved into a new stand-alone building across the street on Lot 7R, which aptly became the name of the building. 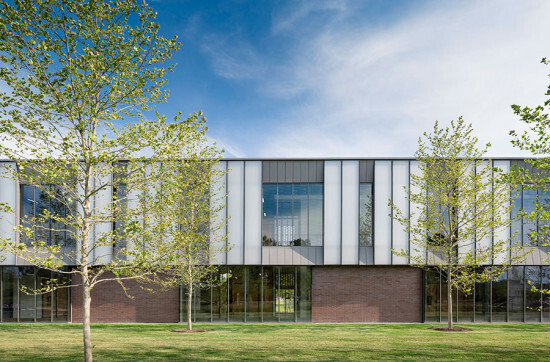 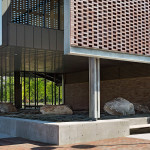 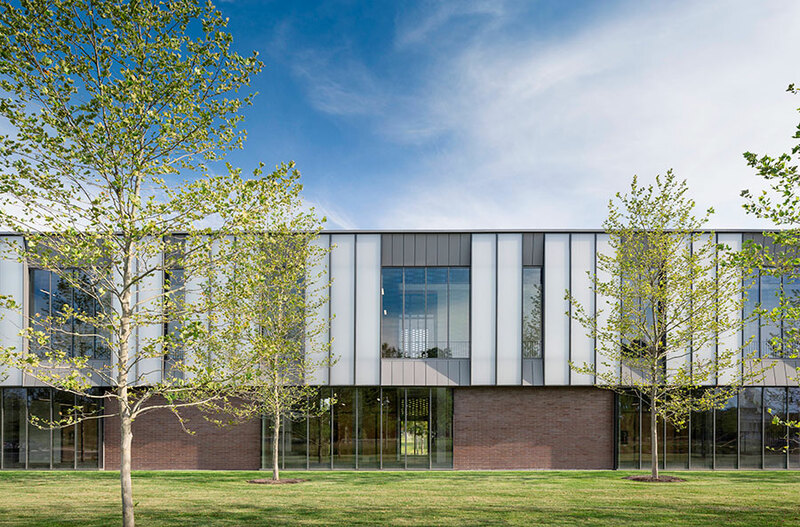 The new 7R building, literally tied to the ground with groundwater-sourced heat pumps, is also formally and tectonically organized around passive solar strategies. 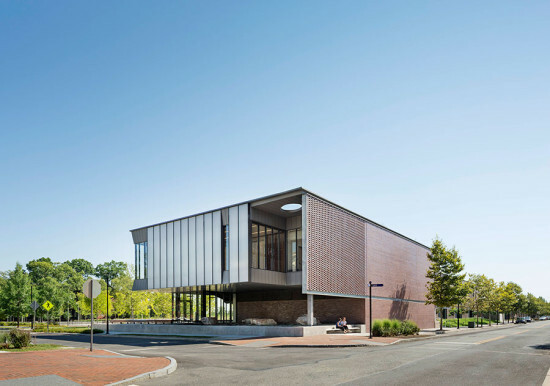 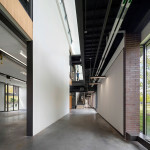 A number of daylighting studies drove a re-shape of the building. 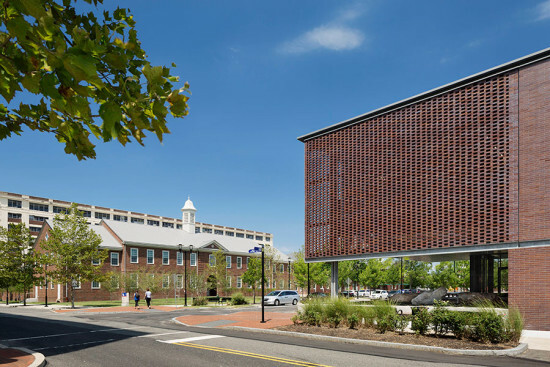 An initial four-story cube was introduced in Robert A.M. Stern and Associates’ masterplan for the site, but became a long linear east-west oriented low-lying building. This configuration maximizes daylighting while minimizing over-shadowing on the site, establishing a framework for campus growth. 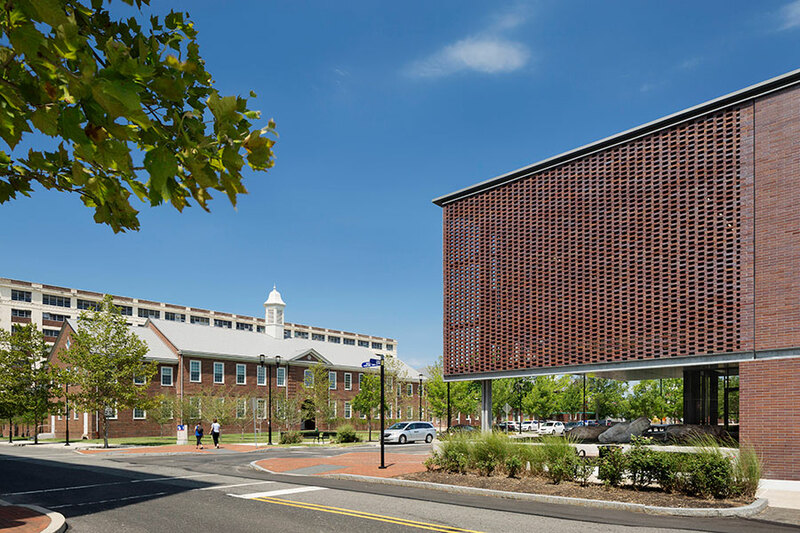 Brick, chosen for its relationship to a historic Navy Yard context, is utilized as a ‘solar shade,’ opening and closing along the south facade to manage direct heat gain, while eliminating the need for mechanized shades. 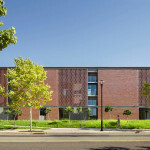 ‘Rips’ in the brick fabric reveal a transparent glazing system adorned with horizontal sun shade louvers. 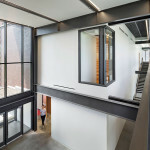 To the north, the building visually connects to adjacent League Island Park by maximizing glazing along an elevated second floor ‘tree-top’ interior walkway. 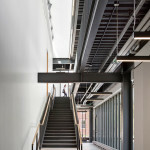 KieranTimberlake, who recently received an award for Innovative Research at ACADIA 2015, continues to monitor for thermal performance and storm water analysis. 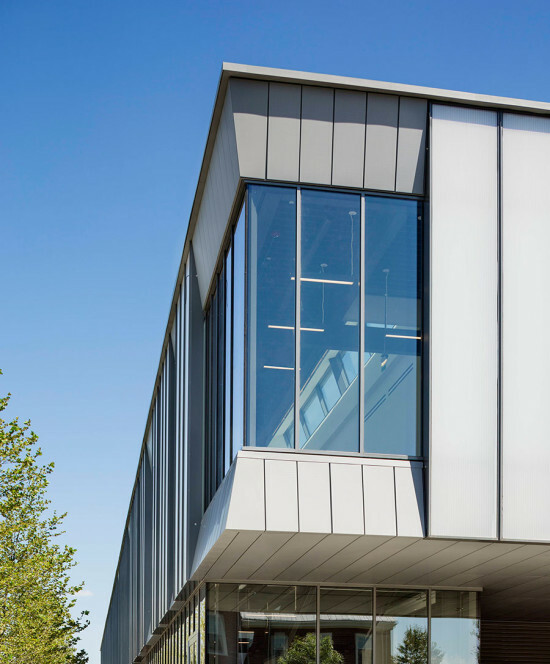 In this regard, the 7R building is a blend between high tech data monitoring, paired with low-tech passive strategies and off-the-shelf products. 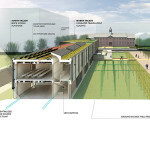 The project, completed within the last year, will be utilized by Penn State for various research programs.